The Holmes HEPA-type desktop air purifier is one of the cheapest air purifiers in the market that also works well. Ideal for small rooms up to 109 square feet (10m2). Holmes HEPA-type desktop air purifier is a small size, very lightweight It is made from cheap plastic, not stylish. Very simple design. Dimensions are 14.8 x 11.4 x 7.2 inches (37x29x18cm) and weight is only 6.7lbs (3kg). Very easily placed on the top of tables or anywhere you might need. Could be placed close to the wall – air inlet is in front and outlet on the top of the unit. The floor is not the best place for it. And the manufacturer says that the unit can be placed vertically or horizontally. In reality, it is very unstable when placed vertically. The Holmes HAP242-NUC uses a fan. Air is pulled through filters. The unit uses 2 filters. One is an HEPA-type filter that removes 99% of typical airborne particles as small as 2 microns such as pollen, dust, mold, pet dander. Remember, this in not a true-HEPA filter. An activated carbon filter removes low odors from the air. For strong odors, you should choose other air purifiers. The unit also has the optional ionizer. It’s simply a positive charge wire terminated with a sharp pin. The air smells fresher when it is on, compared to when off. I think you should avoid to use it because it produces ozone. The ozone is dangerous to your entire respiratory system, even at low levels. Optional ionizer switch. My advice is to leave it off. Quiet on low and loud on high speed. CADR rating for smoke is 70. Recommended room size 109 square feet times ceiling height 8 feet is 1520 cubic feet. 1520/70 = 22 minutes. Poor result. Other air purifiers capture all room air in less than 15 minutes. The filters should be replaced every 3-4 months with normal use. That is individual. If you feel that air purifier no longer works, it is time to check filters. You can also wash carbon pre-filter to cut costs. To remove the filters, you need to remove the front grill of the unit. To remove the grill, press the buttons on the left and right side. Power consumption: Low/Medium/High – 40/80/120 watts. The Holmes HAP242-NUC is cheap air purifier for small rooms with limited features. Good for general air quality. Nothing superfluous. Just keep in mind that it removes 99% airborne particles as small as 2 microns. 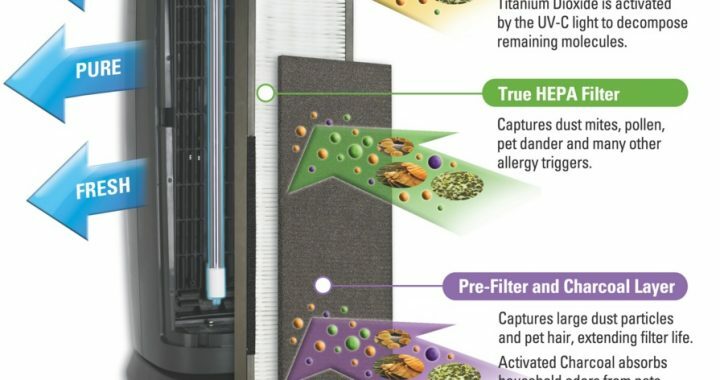 True HEPA filters remove as small as 0.3 microns. Price. This unit is one of the best from cheapest. Ionizer produces ozone. I don’t see the point to use it. Low CADR. Takes more time to capture all air in the room. 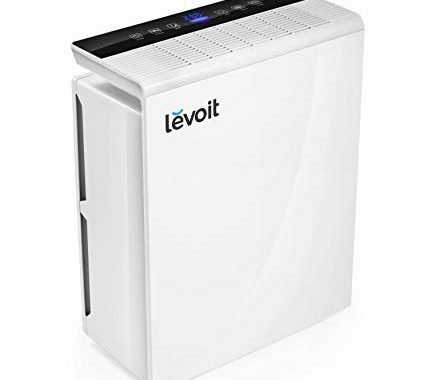 Visit our blog for other air purifier reviews! Read our full air purifiers buying guide here. See Indoorbreathing air purifier comparison charts. (Air purifiers by concern, by type, and by price and coverage area). 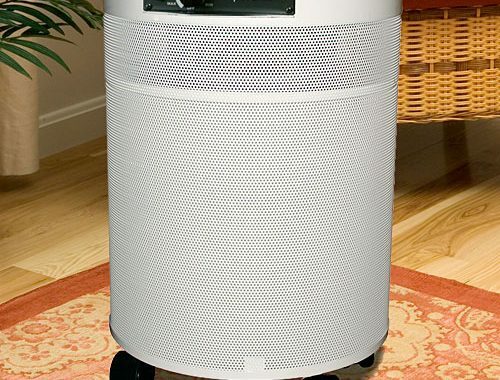 Posted in Air Purifier Reviews, Reviews and tagged Air Purifier, Desktop air purifier, HEPA-type, Holmes.